It's the North Bristol Arts trail this weekend, 26th-27th November 10am till 6pm. I'll be showing my ceramics at Venue 9, along with Sandy Cox's and Jenny McGee's amazing prints and paintings. In time for Christmas - new designs Winter Woodland and Winter garden, now available in the shops. Saying goodbye to Christmas Steps! It was so sad to finally close my lovely gallery on Christmas Steps. I will really miss the shop, garden and all the lovely people who live and work in the Christmas Steps Arts Quarter... However, I'll still be making ceramics and producing greeting cards in Bristol. Some bracelets by Caroline Casswell - available in the gallery. They are beautifully made and cost £17 each. 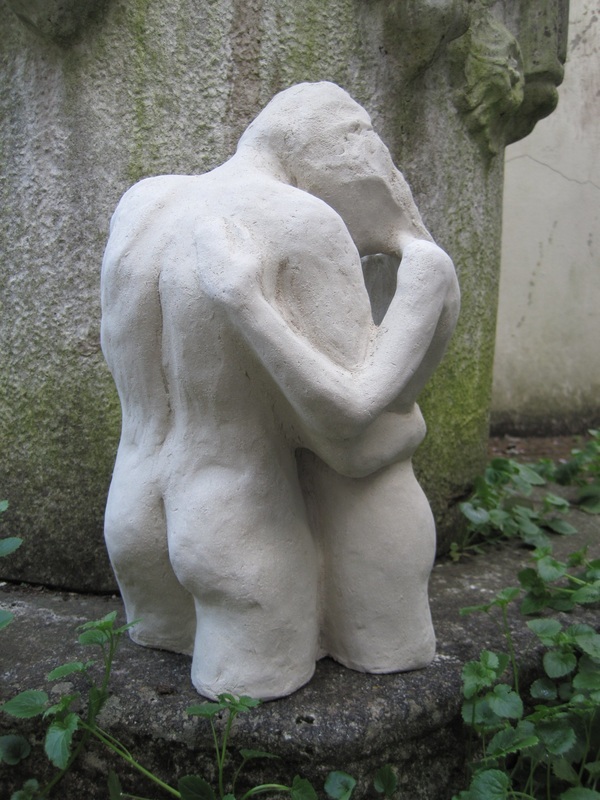 One of my latest figurative wall pieces. I love using the combination of dark blue and copper glazes. 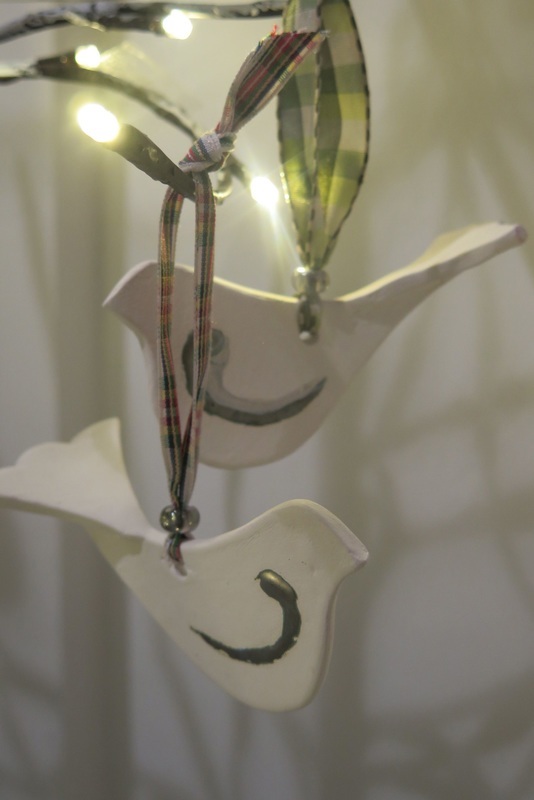 Still have some of my ceramic dove decorations for sale in the gallery. They are £3.20 each. 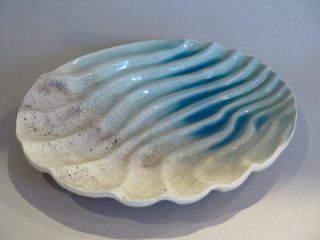 These ripples in the sand bowls are proving a popular Christmas present idea, for those who love the sea! They are £25 each. 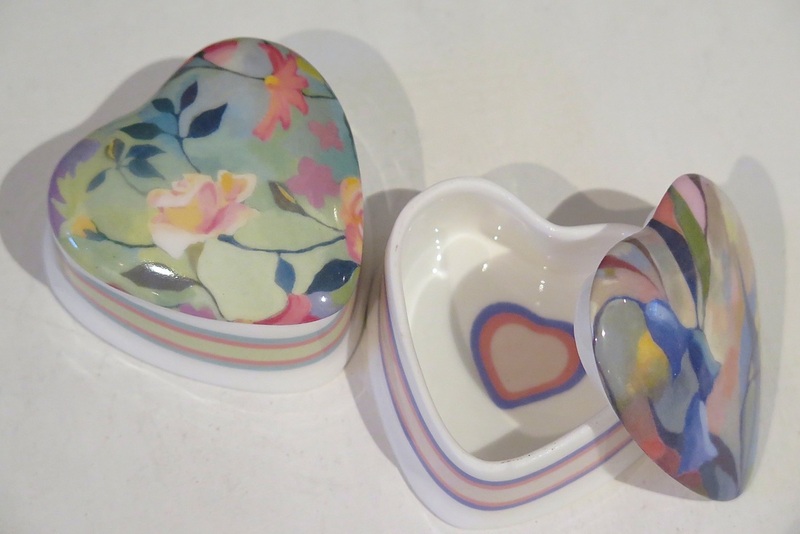 Some of my floral designs are now available on trinket boxes. The heart shaped boxes are £10 and the round ones £12.50. They are available from the gallery, or call 0117 9147555 if you want to order over the phone. 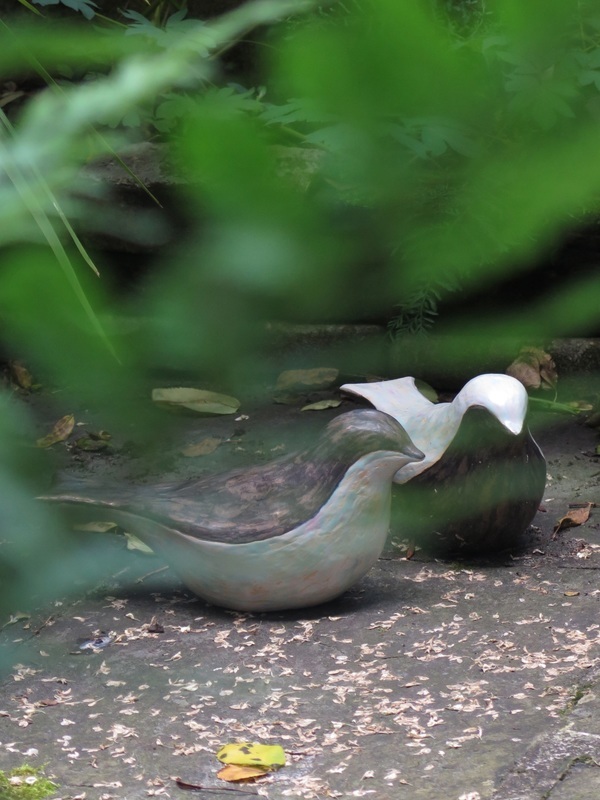 A couple of my ceramic birds in the sculpture garden, they're £25 each. The garden at the gallery is now open - a lovely courtyard with gorgeous plants interspersed with ceramic and concrete sculptures, wall pieces and enamel flowers.